Because there’s this huge gap, this is what some of us came up with to just simply fill in the huge gap. Well, of course, we could re-listen to older records or listen to different bands altogether, or even resort to listening to Albert’s music. But, there’s only so much of Albert Hammond Jr. we can take. So, it was oldies, so it isn’t such a mystery why they were classified as ‘garage-rock revival’. I wonder what he was listening to when he was writing the songs for FIOE. 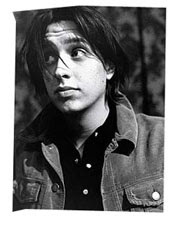 I can imagine Julian Casablancas listening to this over and over on loop, trying his hardest to rip off the tune; probably one of the most significant songs on how the Strokes’ music came to be. I don’t know why I included this song too but it’s a cool song. I couldn’t relate it to any of the Strokes tunes, but it could’ve influence a little bit here in there. I could’ve chosen to put up the Velvet’s ‘New Age’, but the only similarity I could find in that song was just the title. This one’s a little different, more fun and cheery. It’s hard to imagine JC being all fun and cheery. 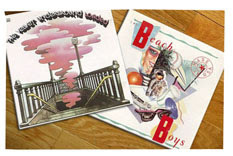 But hey, Beach Boys was particularly mentioned, so that could’ve meant something and besides, I always thought that ‘Hawaii Aloha’ had a Beach Boys vibe to it.